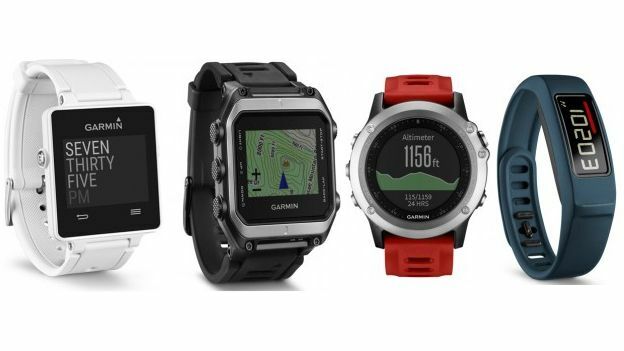 GPS watch specialist Garmin has unveiled a range of new smart watches at CES 2015. Garmin unveiled three smartwatches that push the boundaries of sports-focused smartwatches can do. The first, aimed mainly at hikers and those into adventurous sports, is the Garmin Epix. It comes with a 1.4 inch touchscreen and is bundled with Garmin's worldwide relief maps. It's also possible to add additional maps, thanks to its 8GB memory. In addition to its hiking and mountaineering-focused maps, it also comes with the waterproof body, digital compass, altimeter and barometer – almost everything a hiker or extreme sports fanatic could want. And if that wasn't enough it, also supports Garmin's 'Connect IQ' app store. That means that it is possible to add extra widgets and watch faces to the smartwatch. The Garmin Epix is due to arrive in February 2015 and will be priced at £420. The smartwatch down from the Epix is the Fenix 3. An update to its line of multi-sport GPS watches, the Fenix 3 comes with a touchscreen (though minus the colour screen and maps of the Epix) and is aimed at triathletes. It is also possible to hook it up to heart rate sensors, as well as use VO2 max calculations and stroke counts. It is due to launch this month and will be priced from £370. However, it isn't just high-end athletes that Garmin's new wearables are aimed at. Its Vivoactive smartwatch is aimed at beginners and casual runners. Pretty much a replacement for the older Forerunner 15, the Vivoactive is an entry-level GPS watch. In addition to the GPS tracking, it brings a range statistics such as step- and calorie-counting. It also has a 50 meter water resistance and the ability to download golf course maps. In addition to the Vivoactive smartwatch, Garmin also unveiled an update to its Vivofit fitness band. The Vivofit 2 is largely identical to his predecessor. However, it does bring some new audible words as well as a range of new colourful bands. The Vivoactive will be availble in the UK from March and will cost from £200. The Vivofit 2 will also launch in March and will start at £100, with additional colour bands being priced at £20 each.